Year 6 are involved in a project to help them consider their aspirations for the future. 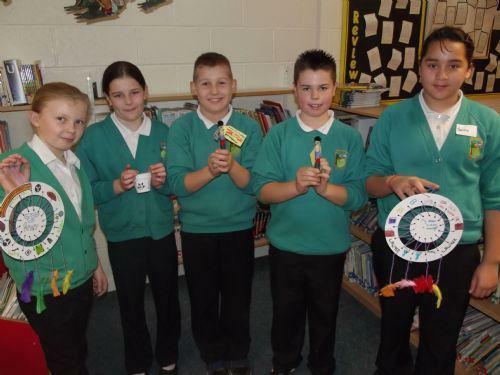 On Friday, they made dream-catchers, peg-dolls and plant pots to represent their ideas. They all agreed that the most important thing was to aim high and work hard to achieve your goal. Later in the year they will visit St John's University in York to find out more about what University is like.